I hope that spring finally found you on the weekend. It finally hit here, sunny and warm. Not T-shirt and shorts kind of warm but so much better than the last 6 months have been. My card this morning is for Papertrey Ink's Make It Monday. Laurie Willison demonstrated ombre inking using regular dye ink pads. Her butterflies were so gorgeous I knew I had to try the technique out just like hers, Nothing original! On the Weekend I headed up to Sudbury to go to the Open House at the Architecture Studio for Ben. It is always a thrill to go up there and hear the kids buzzing about what they did and what the they are doing next. I managed to get a rare shot of Ben and I together, I don't remember him getting that tall! Their big project this year was to create a bridge and venue at the old existing train station in Sudbury. So the years projects basically all hinged around it. This is an outdoor kiosk that Ben designed for the venue. The topic of discussion this year was sustainability--how people and culture and nature can exist in harmony. The course focus was on ecology and architecture. This is Ben's drawing for his bridge and the model to the left is actually a huge muilti level shopping mall that is made up of shipping containers that are the actual stores! The concept is that the shops can be reconfigured, moved around and come and go--a glimpse into the future of retail. The trip to Sudbury is roughly 9 hours round trip! I told you the other day I drove halfway to Ben's girlfriends parent's home and they drove the rest of the way! On the way home we stopped and had dinner with Ben's girlfriend's aunt, Dawna, who will be Ben's boss again this summer. He is going back to Lakehouse Cabinery again, if you want to see some gorgeous furniture have a peak at their website. Ben actually took part in building a lot of these pieces last summer. My card on it's way to Dawna to thank her for dinner. Have a wonderful work week! Love your beautiful take on Laurie's card. Stunning. And the picture with Ben and his incredible project. So amazing to watch them grow! Tracey, first of all, your card is STUNNING! You've done a beautiful job on it. You must be so proud of Ben. Sounds like a very bright young man! Such a fun post..love your butterfly card. I love it when you share pics of your kids' projects...so fun and wow to 9 hours...that's a long drive. Love love love the card! LOVING the butterfly!! And loving the photos from your weekend!!!!! I love your CAS style so much, Tracey! Beautiful card, the butterfly was colored perfectly and thank you for sharing your story and pictures. You must be so proud! Well, she will certainly love that card...It's gorgeous!!! Stunning ombre butterfly and a gorgeous die cut background!! Love this!! Glad you got to see your "baby" and made it there and back safe and sound :) They grow up waaay too quickly! Beautiful card - love that ombre butterfly! And the pics of Ben and his project were fun. Thanks for sharing! Your ombre butterfly is beautiful on the white on white background, Tracey! Love the container mall idea. Those boys do have a way of "tallering" over night. your card is gorgeous.. love the die you used for the background..
Beautiful butterfly, Tracey. Lovely picture of you and your talented son. Gorgeous card, Tracey! Love the pic with your son! Gorgeous card Tracey!! Love the ombre! The picture of you and Ben is fantastic! 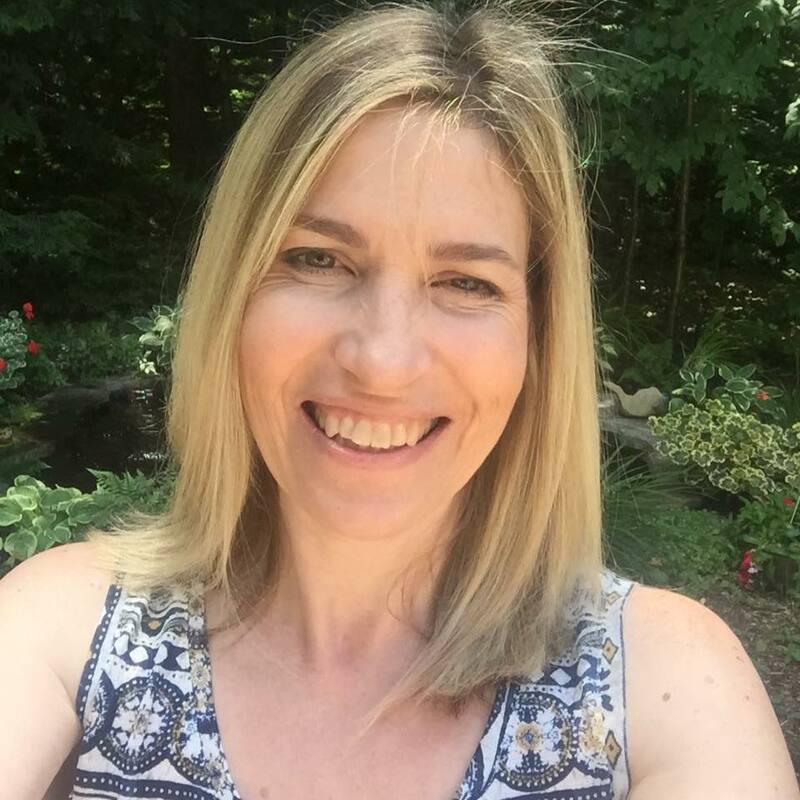 You must be one proud mama, have a fantastic trip! It sounds like there is a very promising future for your talented young man! I love your ombre butterfly and what a perfect background die for it! Love hearing about the doings and goings on in your family. You must be so proud of Ben. He is so very talented. I love this card so much, and it is just another example why you are the absolute queen of CAS. Your ombre butterfly is gorgeous. Especially against that intricate die cut background! And I'm so glad you got to spend time with Ben. It's exciting to see what the designers of the future are working on!! This is just lovely Tracey! The big beautiful butterfly with your fabulous inking is breathtaking. But as pretty as this is, the photo of you and Ben warms my heart and steals the show today!!! Gorgeous card... beautiful photo to cherish with Ben! I'm so intrigued by his shopping mall concept... I've seen gorgeous little homes that use shipping containers... why not a storefront? Love it... congrats to Ben! Absolutely gorgeous card, Tracey! Your ombre inking turned out beautifully, and I love how you paired the butterfly with the 'In the Woods' die cut! Dawna is definitely going to love it, too! Great photo of you and Ben...yes, they grow so fast! What a cool project, too! It's so wonderful to watch our children succeed...and, he certainly will go far in life! Sounds like a wonderful weekend! Ben is doing such amazing work and I know you are extremely proud. Love your beautiful card! 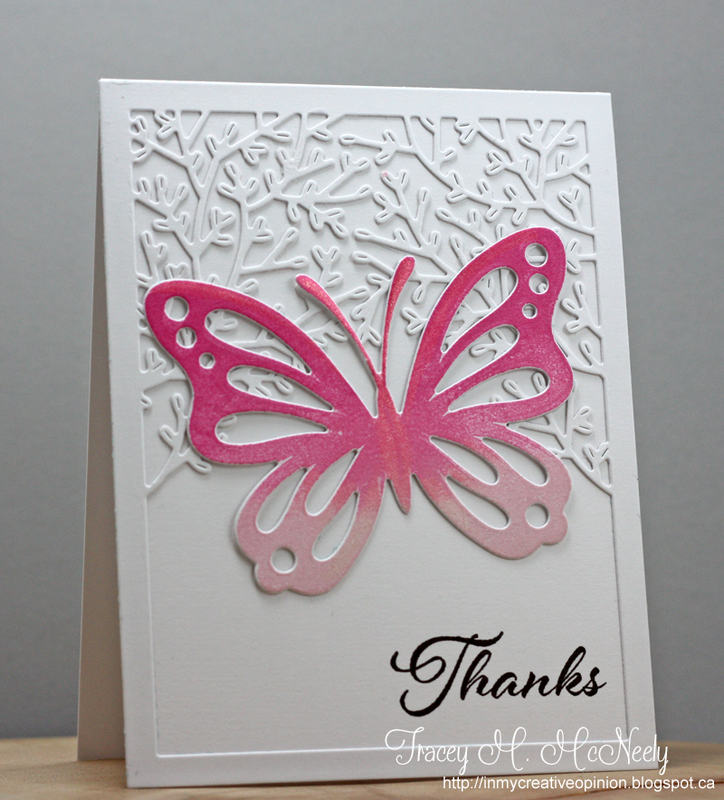 The delicate die cut is a fabulous background for your pretty butterfly! Love your photo of you and Ben, so so sweet, just like your card! I love your gorgeous butterfly! I have been eyeing this plate, it looks so pretty, love the tone on tone. Great pic of you guys and looks like a great project! Love the ombre touch on your butterfly! Such great texture here, and what a great pic of you and your son! Wonderful memory of a lovely weekend! Loved seeing mom & son. Love it when the little guys pass us. Have 2 boys (& 3 girls) one is 6' 4", and the other 6' 1'. I get tears every time they reach down to kiss me! Loved his inspired project too, his drawings are phenomenal! And so is your lovely ombre card. Cas perfection, as usual! Your ombre butterfly is gorgeous against the white on white background! It really pops! Running late with comments, again. 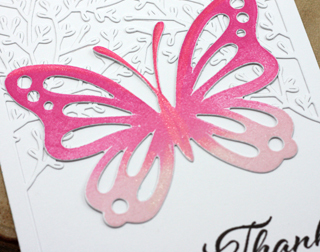 First, your butterfly card is ombre-awesome! Incredibly lovely! Your photos of your children: handsome and beautiful! The projects your son is involved with - people, culture and nature interacting in harmony - sound fascinating, and his work is ever so impressive! WOW...a brilliant, creative and talented young man, indeed! Can see why you are the proud momma! Talented boy you have there. Just checked out Lakehouse Cabinetry too. Stunning work! Love your beautiful card, and am intrigued by the embossed background. Works perfectly with that butterfly. I am sure Dawna will be touched!